The Guyanese immigrant Gordon Fowler, arrested on suspicion of firing at home with Venezuelan immigrants in State of Roraima. 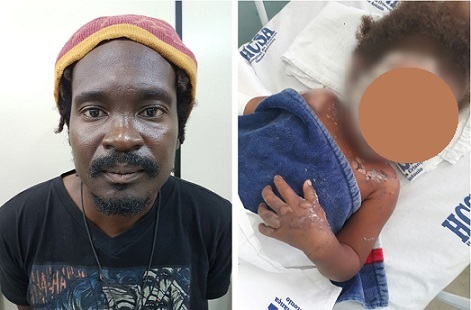 One of the victims, the child was admitted to a hospital in Boa Vista. The crime was motivated by xenophobia among immigrants. 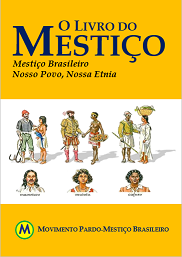 Leftist organizations suspected that the authors were Brazilian. A Guyanese immigrant was arrested late on Saturday (10) on suspicion of firing a Venezuelan family in Boa Vista, capital of the State of Roraima. According to the Civil Police of Roraima, Gordon Fowler, 42, is from Georgetown (capital of Guyana) and was arrested in a derelict building at 9 pm Saturday. Images of security cameras show a person throwing fuel and setting fire in front of the house where 13 Venezuelan immigrants live. A couple and their four-year-old daughter were injured – the girl had 25% of her body burned. It was the second type attack in the city, both attributed to the Guyanese. Fowler, who according to police confessed to the crime, has no fixed residence and lives in the streets of Boa Vista. With it, were found objects that would have been used in the crime, like bottles with alcohol. He wore the same clothes he wore on the engraved images. After being arrested, still according to the police version, Fowler said that he had nothing against the victims, but that “it took anger” of Venezuelans from a disagreement that had with a group of them that also lives in the streets of Boa Vista and that would have robbed your bike. The victims were chosen randomly, for ease of being found, and for sleeping in places with little protection. He will be responsible for five attempted murders and will be taken to the Monte Cristo Agricultural Penitentiary. The attacks put the Brazilians as suspects. “In recent months, there have been increasing cases of conflict between Brazilians and Venezuelans in Roraima. The episodes of xenophobia in the region are of concern to the police,” said the UOL website. The attacks sparked organized protests allegedly against xenophobia over the past week in the State. With an endofobic bias, demonstrations were focused on Brazilians. “The response of public entities in Brazil to migration has been insufficient and disjointed, creating an atmosphere of disinformation and fear in part of the population in Roraima. The State’s omission has fomented negative reactions in the local society, often spreading stereotypes, myths and xenophobia. The xenophobic crimes that occurred this week in Boa Vista demonstrate in a tragically vivid way the harmful consequence of the lack of an effective and coherent migration policy,” said in a note leftist entities, several related to the Church Catholic.